At Global Windows, all our windows are A rated for energy efficiency. With a global window upgrade, you’ll soon benefit from a warmer, more comfortable home. The excellent thermal efficiency of our windows means that you’ll also save money on reduced heating bills while lowering your carbon footprint to protect the environment. Our windows also achieve excellent levels of safety and security. Fitted with multi-point locking systems as standard you’ll feel safe and secure in your home knowing that your family and possessions are well protected. Secure windows also have the added benefit of saving you money on reduced insurance premiums. Deny entry to unwanted intruders with a window upgrade from Global Windows. Whatever style of window you require, we can manufacture and install it. From standard casement windows to authentic sash windows and innovative tilt & turn windows, the quality remains first class. All our windows are manufactured at our factory in Sheffield. This enables to oversee quality at every step of the process. Our windows are manufactured and installed by a dedicated team of industry specialists. With Global Windows, high quality is imperative with every installation.  Click on the boxes below to find out more about our range of windows.